Robot Launch Startup Competition at ICRA 2018 – LET'S TALK ROBOTS! Welcome to the Robot Launch Startup Competition at ICRA 2018. Do you have a startup idea, a prototype or a seed stage startup in robotics, sensors or AI? Submit your entries by May 15 2018, if you want to be selected to pitch on the main stage of ICRA 2018 on May 22 in Brisbane Australia for a chance to win $3000 AUD prize from QUT bluebox! Pre Seed category consists of an idea and proof of concept or prototype – customer validation is also desirable. Seed category consists of a startup younger than 24 months, with less than $250k previous investment. Post Seed category consists of a startup younger than 36 months, with less than $2.5m previous investment. CAN’T MAKE IT TO AUSTRALIA? No problems, mate! We’ll be continuing the Robot Launch competition with additional rounds in the US and in Europe through out the summer. Go ahead and enter now anyway! 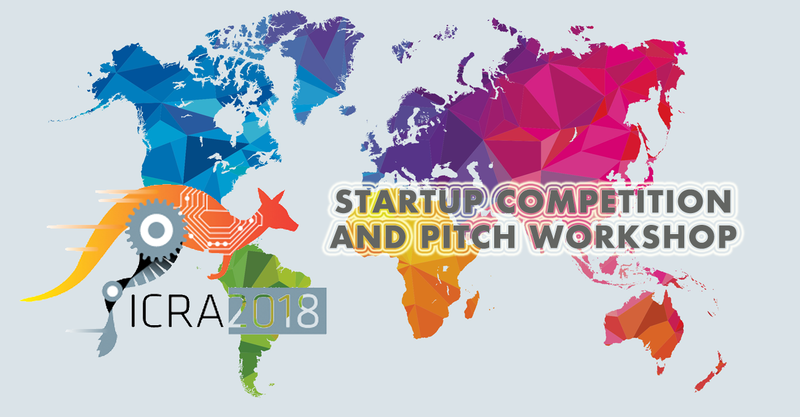 Enter the Robot Launch Startup Competition at ICRA 2018 here. A sample Investor One Pager can be seen here. And your pitch should cover the content described in Nathan Gold’s 13 slide format.